Grape growers in Sonoma County fully understand how important their employees are to their operations. 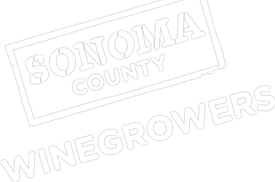 That’s why the Sonoma County Winegrowers, which represents some 1,800 grape growers, has decided to relaunch the Sonoma County Grape Growers Foundation to focus on the socially responsible component of sustainability. The goal is to improve the lives of the local workforce. Sonoma County Winegrowers President Karissa Kruse says her organization will manage the foundation, which will partner with community-based organizations as well as government agencies to provide resources for agricultural employees and their families. “Through this foundation, Sonoma County Winegrowers will be working to bridge the gap between existing programs and the individuals who should benefit from them in the areas of healthcare, affordable housing, childcare, and education,” she says. Click here to read the full story in Growing Produce.